George W. Bush is in a wistful mood as a teaser exhibit for his presidential museum opens in Dallas. As sensible heads said at the time, the Bush plan amounted to sending old folks to slaughter in the market, while the feds borrowed gazillions to cover the gap caused by paying out benefits while dumping current income into Wall Street. Oh, what might have been! But we’ll always have Saddam’s gun. Obama Now One Of The Greats! For decades, criminal geniuses have disguised themselves in the act, and an early 90s film from the Patrick Swayze ouvrier sparked a seemingly endless wave of robbers wearing masks of the great. 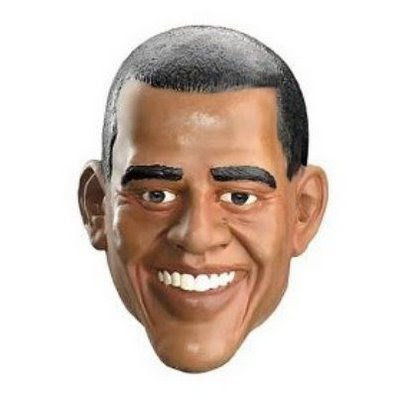 Now the current president has joined this proud line, with North Carolina gas station robber donning an Obama mask to do the deed.